I absolutely the LOVE the WOW factor of a card in a box. The first one I made was almost 5 years ago for my sons Carson’s 14th birthday. Time to share how easy it is! Are you ready for a fun monster Valentine card in a box? 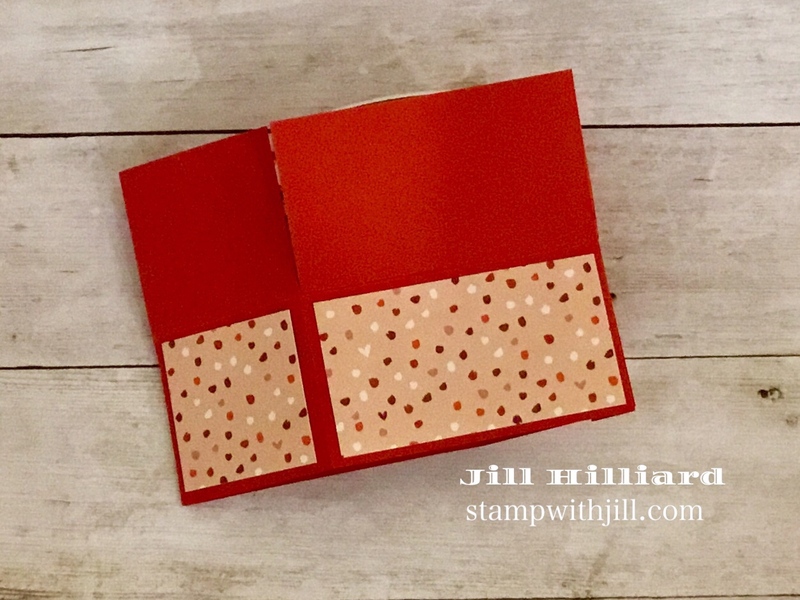 And a Blog Hop? Today you get both! 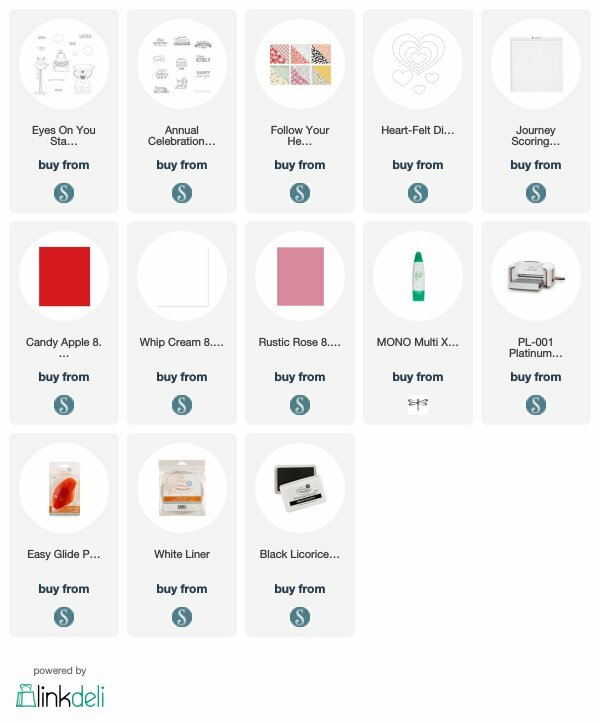 Of course I am using the “Eyes on You” stamp set. So much fun these monsters. Even though these were for Halloween, I knew they would be perfect for Valentines and of course birthdays too! Totally adorable! It is important to see the card in a box closed. This is the front. all the fun elements are hidden so the wow factor when the card is open is a surprise! And the back of the card is where I like to put the message. Another key point this easily fits into and A2 envelope. Most important you need card in a box specs! Two 4 x 6 pieces of card stock. Scored on the long side at 2″, turn and score at 2 and 5-1/2. Two pieces of 1 x 5 card stock, scored at 3/4 on both ends. Follow your heart printed paper: Four pieces 1-3/4 x 1-3/4, Two pieces 3-1/4 x 1-3/4, One piece 3-1/4 x 3-3/4. Plus one piece of whip cream 3-1/4 x 3-3/4 for the back of the box. Equally important are the supplies I have used. Especially if you need to add some Monsters to your collection. Jill, I LOVE these little monsters for Valentine’s Day, super cute! I think cards in a box are such Wow creations and yours is so creative as always. Awesome creation! Love those monsters! I LOVE this! 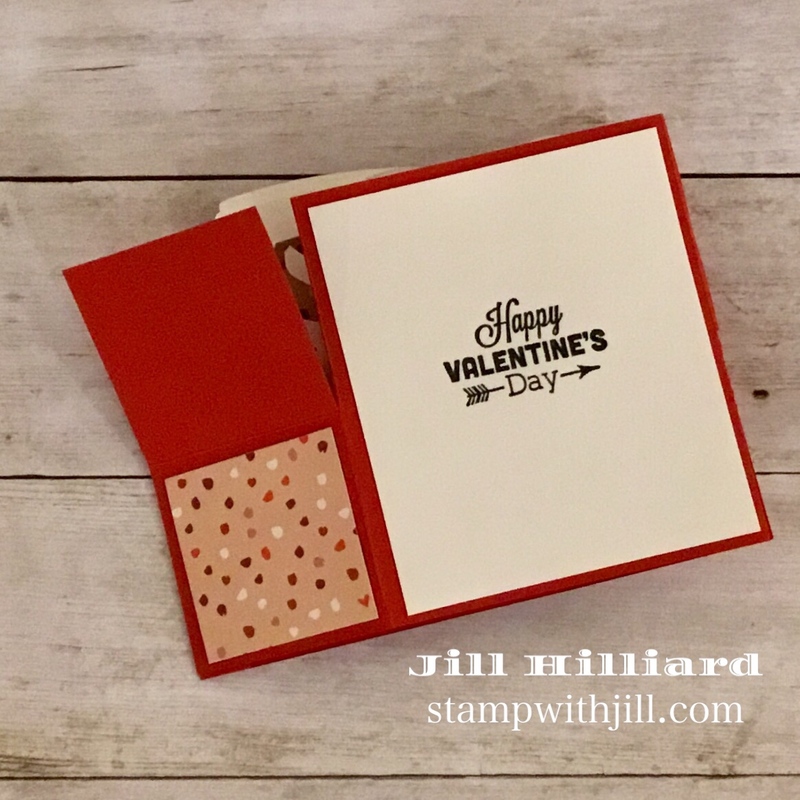 I have been using this stamp set for Valentines, and love the card in a box project! Adorable Jill! Totally forgot how these monsters would work for Valentines!